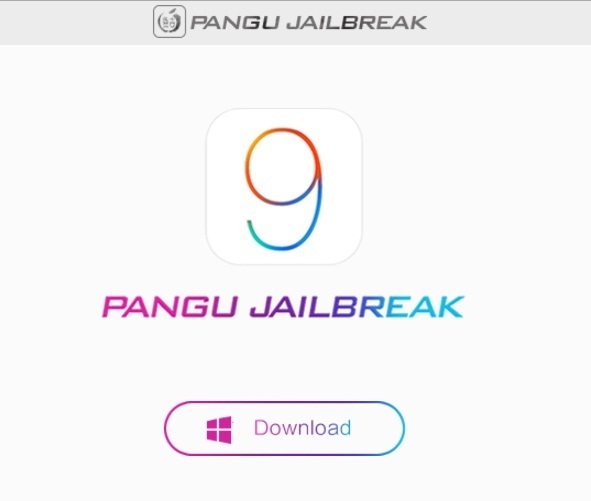 The most awaited "iOS 9 Jailbreak Tool" has been officially released by team "PanGu" with the support of Cydia Substrate and Cydia Mobile Substrate installation. PanGu iOS 9 Untethered Jailbreak is compatible with most of the iOS 9.x.x Firmwares installed on iOS based smartphone and tablet devices. Apple iDevice users can Jailbreak iOS 9.3.3 / iOS 9.3.2 / iOS 9.3.1 / iOS 9.3 / iOS 9.2.1 / iOS 9.2 / iOS 9.1 / iOS 9.0.2 / iOS 9.0.1 / iOS 9.0 / tvOS 9.0.1 / tvOS 9.0 Firmware Using PanGu Jailbreak Tool. The features and functionalities of latest PanGu iOS 9 Jailbreak Tool is similar to its predecessor's or previous iOS Jailbreak Tools i.e. 25PP's PP iOS 9 Jailbreak and TaiG iOS 9 Jailbreak Tools with ease of installation. You can follow our full working step-by-step guide, method and tutorial on How to Untethered Jailbreak iOS 9.3.3 with PanGu Jailbreak Tool on iPhone SE, iPhone 6S Plus, iPhone 6S, iPhone 6 Plus, iPhone 6, iPhone 5S, iPhone 5C, iPhone 5, iPhone 4S, iPad Pro, iPad Mini 4, iPad Mini 3, iPad Mini 2, iPad Mini, iPad Air 4, iPad Air 3, iPad Air 2, iPad Air, iPad 2, iPod Touch 6 and iPod Touch 5 and Apple TV 4 available for Windows and macOS operating systems. First ensure that you have latest iTunes version installed. Your iOS 9.x.x firmware must be installed on iOS device using iTunes restore option, and not via OTA (Over-the-Air). Disable all Passcode / Passwords / Touch ID / Find My iPhone codes, and Enable Airplane mode. Make sure to get full device data backup with iTunes or iCloud. How to Jailbreak iOS 9.3.3 with PanGu? The latest PP PanGu iOS 9.3.3 Jailbreak is only compatible with 64-bit iOS devices only i.e. (iPhone 6S, iPhone 6S Plus, iPhone 6, iPhone 6 Plus, iPhone SE, iPhone 5S, iPod 6G Touch, iPad Pro, iPad Air 2, iPad Air, iPad Mini 4, iPad Mini 3 and iPad Mini 2) running on any iOS version for and upto iOS 9.2 to iOS 9.3.3 Firmware's. PP PanGu iOS 9.3.3 Jailbreak is a Semi-Untethered Tool, which means you need to restart a Jailbreak App every time your iOS device rebooted. PP PanGu is an on-demand iOS 9.3.3 Jailbreak Tool, which means it will allow users to enable or disable the Jailbreak functionality with Click-to-Jailbreak app as and when user wants, and to remove the iOS 9.3.3 Jailbreak, just reboot your iOS device. Windows-based PanGu PP iOS 9.3.3 Jailbreak Tool is available in Chinese language without any certificate expiration, however if you apply Windows or macOS-based English language tool, then you will get a certificate with an expiry validity of 7 days or 1 year respectively. Below are the Step-by-Step guide to perform iOS 9.3.3 Jailbreaking with PanGu Jailbreak Tool. Step 1: Download, Install and Run PP PanGu Jailbreak Tool on your Windows or macOS PCs / Laptops. Step 2: After installation on your iOS device, Go to Settings >> General >> Device Management or Profile >> Now complete the application trust settings of PanGu. Step 3: Open PanGu Jailbreak on your iOS device, and when a message prompt "PP Pangu team wants to give you a push notification", just click "OK" button to allow push. Step 4: Now click on "Jailbreak Button". iOS 9.3.3 Jailbreak process begins automatically. Step 5: After you get a message "Successful Jailbreak", wait for 1 minute, now PP Pangu Jailbreak tool will install Cydia app, so just relax for a minute. Step 6: After your iOS device rebooted, open PP Pangu Jailbreak tool again to check iOS 9.3.3 Jailbreak Status. You're done. Congratulations!! Tip: If you get any error or problem, then restart the whole procedure again. How to Jailbreak iOS 9.1 with PanGu? Step 1: Download and Install Pangu9_EN.exe file on Windows, and Pangu9_EN.dmg file on Mac OS X. Step 2: Now, Connect your iPhone, iPad or iPod Touch to your Computer / Laptop through USB data cable, and Start PanGu Jailbreak Tool. Step 3: After PanGu Jailbreak Tool recognize your iDevice, Click on Start Button appears at middle of tool. Step 4: When tool prompt another window, just Click Already Backup to continue. Step 5: Now, the tool will reboot your iPhone, iPad or iPod, and it will ask you to Switch on Airplane mode again, after you do this, the tool will continue the jailbreak process. Step 6: After some time, the tool will ask you to Open the PanGu App from your iOS device Home Screen. Just do it, and also Give Access to Photo Library when prompted to "Pangu Would Like to Access Your Photos". Just Click Yes. Step 7: Now, the tool will again restart your iOS device. After reboot, just Disable Airplane mode, and Run the Cydia App installed on your iOS 9.x.x Firmware. Congratulations!! You have successfully Jailbroken iPhone, iPad and iPod Touch.